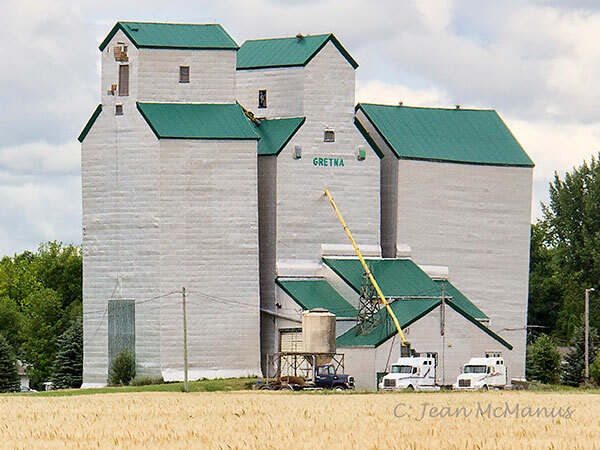 One of only two surviving elevators in the Municipality of Rhineland, the former Manitoba Pool elevator at Gretna, on the CPR Gretna Subdivision, was built in 1950. 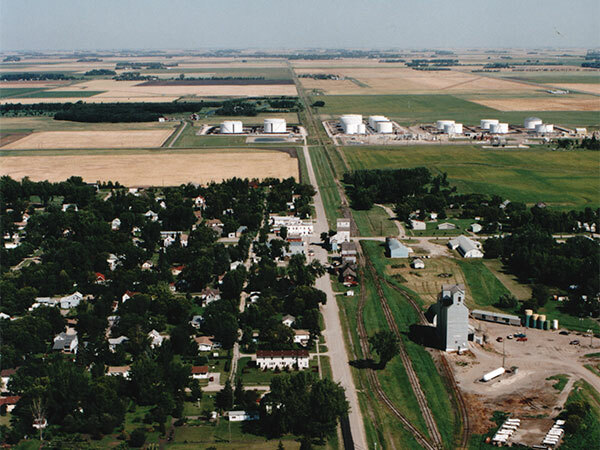 Its 50,000-bushel capacity was enlarged in 1967 with a new crib annex with room for another 70,000 bushels. 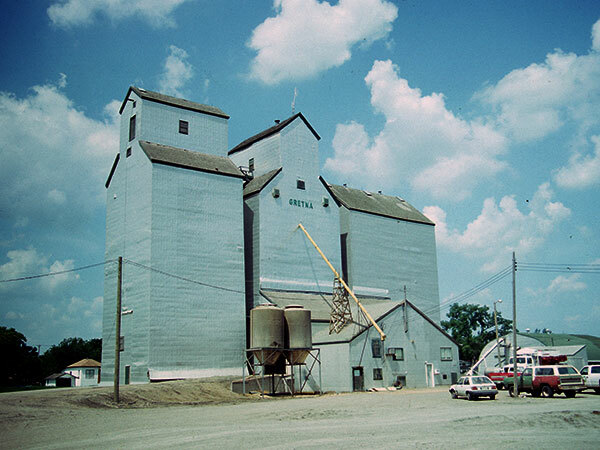 Still more space was acquired through the Pool purchase of Federal Grain elevators in 1972, and the conversion of its elevator into a second annex. The railway line between Altona and Gretna was threatened with closure in the early 1980s but, after public outcry, it was saved and upgraded in 1985. It would prove a temporary reprieve. 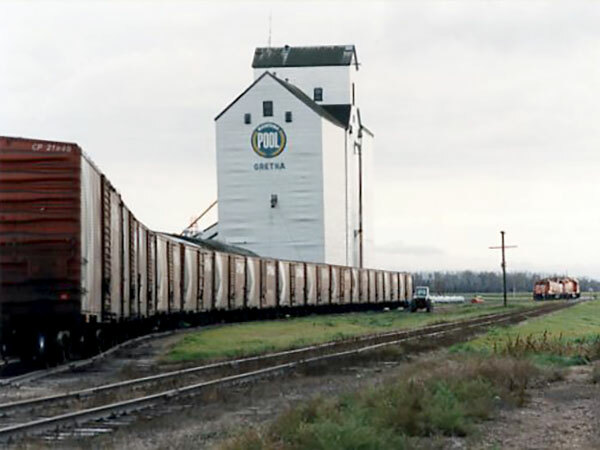 CPR abandoned the line on 31 July 1996, prompting the elevator to close the same day. It was later sold and used for private grain storage. Source: Historic Resources Branch, Grain Elevator Inventory, slide 2215. “Pool ponders Gretna elevator,” Winnipeg Free Press, 26 September 1996, page 7. We thank Doug Belcher for providing additional information used here.